After having the relaunched Cascade Pale Ale for the first time yesterday I thought it should be time to bring Tasmania back down to earth after it's win in True Brew. If this tastes like it did yesterday it will certainly do that! When I tasted it yesterday, in fairness, straight from the can I was really offended, it tasted horrendous! I may have had quite a few by the time I tried this but it was attrocious: one of the worst beers, let alone Australian beers, that I've ever had! I hope for Tasmania's sake it's not as bad as I remember. The appearance is not awful, however it looks more like a lager than an English Pale Ale. It's got a nice golden coloured liquid with plenty of carbonation rising to a big sudsy white head. The head retention is good with at least half a finger remaining throughout drinking and the lacing is also more than good enough. It's not the worst looking beer when you pour it. Oh God! That smell still haunts me, it is a truly awful smelling beer! It smells more like a bourbon and coke than it does like a beer, it's horribly sour. Lots of yeast, sour malts and close to no hops; it just doesn't smell balanced at all. I don't think I can think of a worse smelling beer that I've ever had and that includes very badly skunked Bintang! Flavour-wise pouring Cascade Pale Ale into a glass does improve it, but it would be pretty hard not to improve how it tasted yesterday. It does have a distinctly English Pale Ale flavour about it but with a horrible yeast flavour that really destroys the beer. It's sour and horrible with also this strange sweet flavour which makes it almost undrinkable at times. I just hate it! Not as horrible as I thought it was yesterday but still a really really bad beer. It's drinkability was almost none existent due to the really odd flavour. The carbonation was uncomfortably high and the mouthfeel was slightly too thick and cloying for a pale ale. 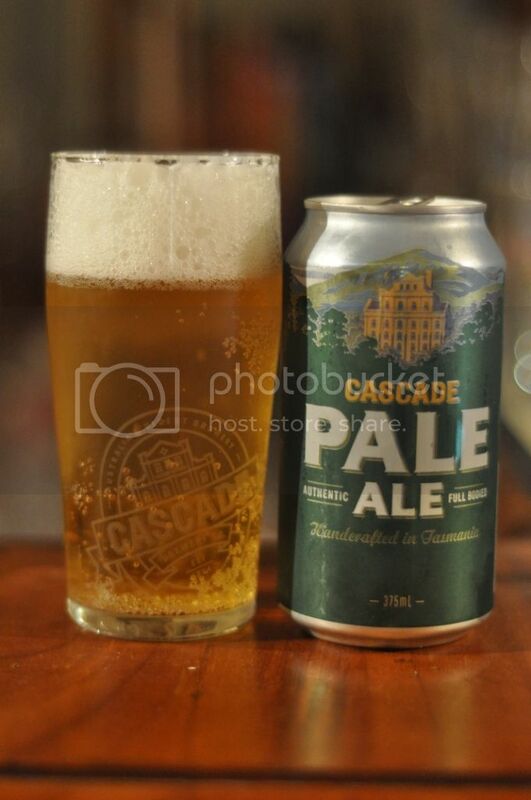 Cascade Pale Ale could quite conceivably be the worst Australian macro beer I've ever had! For your sake please don't try this one.